The Sustainable Weight Loss Lifestyle – Lose weight slowly, keep it off forever. Lose weight slowly, keep it off forever. 1.4 What is the Sustainable Weight Loss Lifestyle? 1.5 Why Does the SWLL work? 2.4 Why Are You Overweight? Just go on a diet. Pick any one, they all work – Atkins, Zone, South Beach, Cabbage Soup or Drinking Man’s. If you follow the instructions, you will lose weight. But after the diet, when you return to your normal lifestyle, the weight will come back. If dieting is not the solution, then what is? The solution is to change your lifestyle. It’s your lifestyle that caused you to gain weight in the first place. But by changing it you can gradually lose weight, with little or no hunger, and keep it off for the rest of your life. – An eating pattern that promotes slow weight loss without causing hunger. – An aerobic exercise program of your choice. – A focus on the importance of muscles. – An increase in non-exercise activity. – An understanding of the mental activities that affect weight. The new lifestyle results in improved health, so a chapter is devoted to discussing health issues. 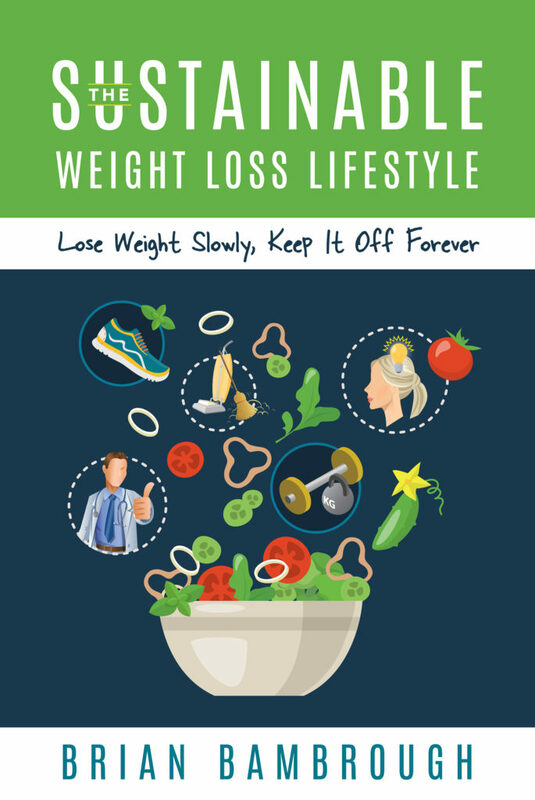 In the final chapter, the author presents his own experiences with weight control, as a case study demonstrating how the Sustainable Weight Loss Lifestyle theory works in practice.